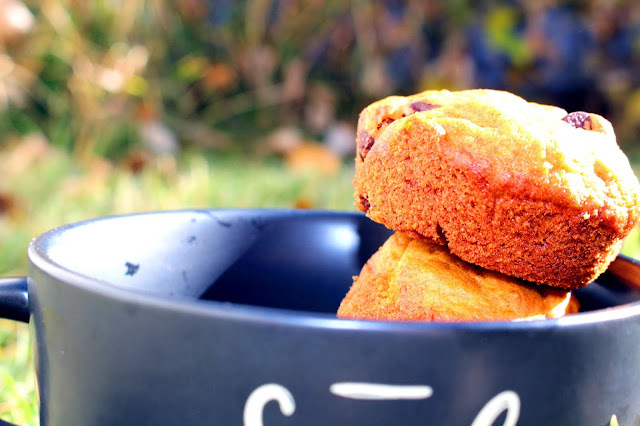 These pumpkin muffins are delightfully spicy and fluffy. They are definitely scrumptious! 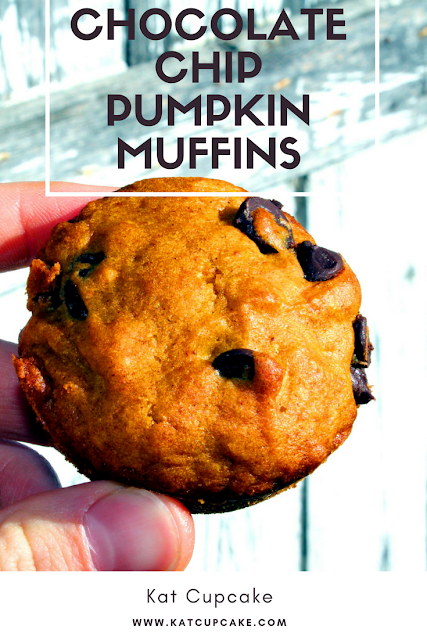 The chocolate chips are the perfect sweet addition to the lovely fall treat. Be sure not to over bake and eat within a couple days so that they don't get too dry. If it does happen simply heat them up in a microwave for a few seconds. Whisk the flour, baking powder, baking soda, salt, cinnamon, cinnamon, and nutmeg together in a large bowl. In another bowl. Whisk the oil, eggs, brown sugar, pumpkin, and vanilla extract together until combined. Pour the wet ingredients into the dry ingredients and use a whisk to stir until completely combined. Batter will be thick. Fold in chocolate chips. Spoon the batter into your prepared muffin tin. Fill about 2/3 full to avoid spilling over the sides. Bake for 20-22 minutes, or until a toothpick inserted in the center comes out clean.